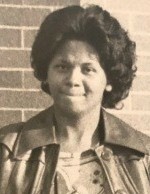 Patricia "Patty" Louise Russell, 66, of Springfield, Ohio departed from this world to be with her Heavenly Father Thursday, January 17, 2019. She was born April 23, 1952 in Springfield, Ohio a daughter of Ralph H. Russell, Sr. and Velma Lee Russell. She graduated from Springfield South High School and Springfield-Clark County JVS majoring in Food Services. Patty was a faithful worker at Rax Roast Beef until she retired. 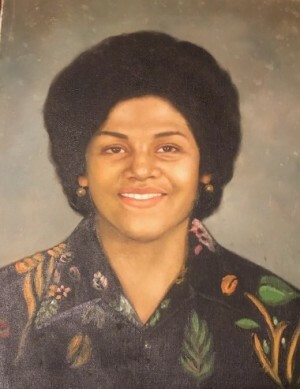 Survivors include her mother, Velma Lee Russell; siblings, Ruth Russell Morgan, Edna J. Russell (Chucky), Ralph H. Russell, Jr. (Theresa), Ramon D. Russell (Monica), and Cheri L. Russell; a host of loving nieces and nephews, including Joseph, Jaiden and Jadie Welliford; special cousins, Richard D. Morgan, Jr., Ralphael Russell, Robert Russell, and Rachael Russell. Patty was preceded in death by her loving father, Ralph H. Russell, Sr and dear sister, Natalie A. Russell. Visitation will be held at 9:00 a.m. until the time of service on Saturday, January 26, 2019 at Greater Grace Temple, 380 West Leffel Lane, Springfield, Ohio 45506 with funeral service beginning at 10:00 a.m. Interment will take place on Monday, January 28, 2019 in the Ferncliff Cemetery at 1:00 p.m. Arrangements entrusted to the care of the Jerry W. Kinley Funeral Home.